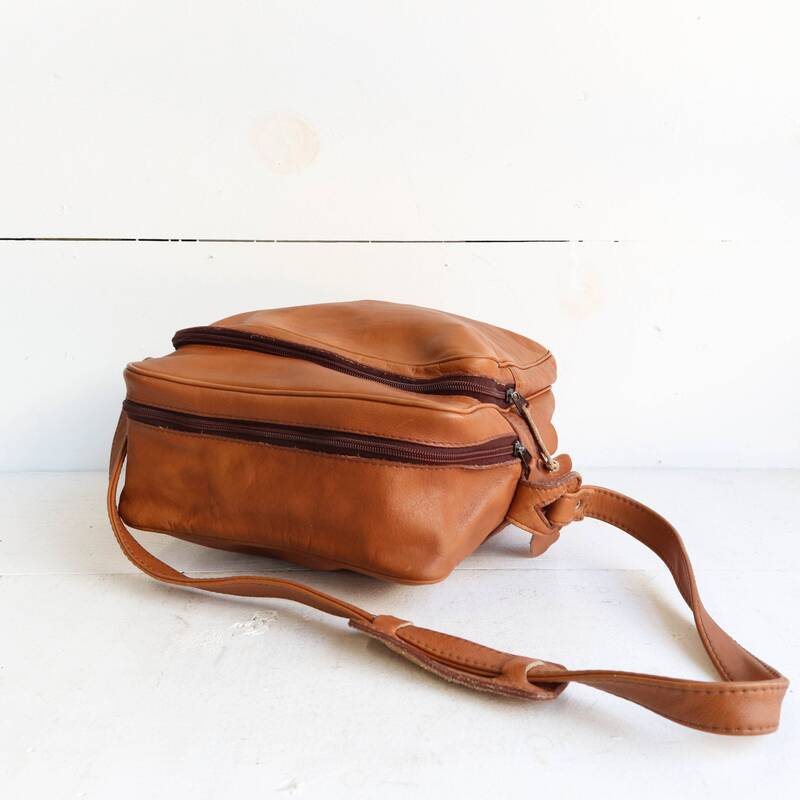 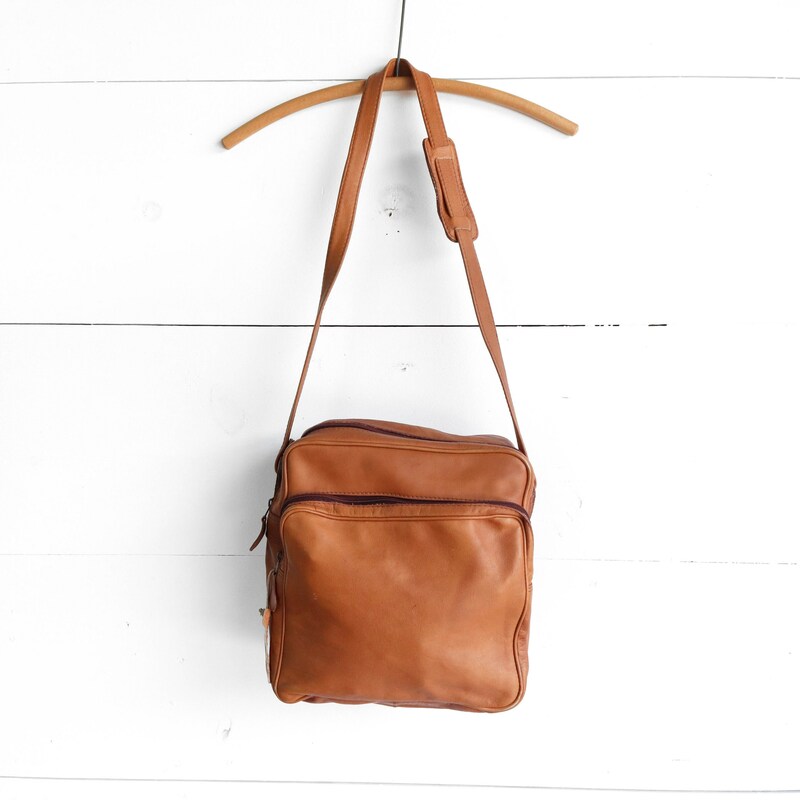 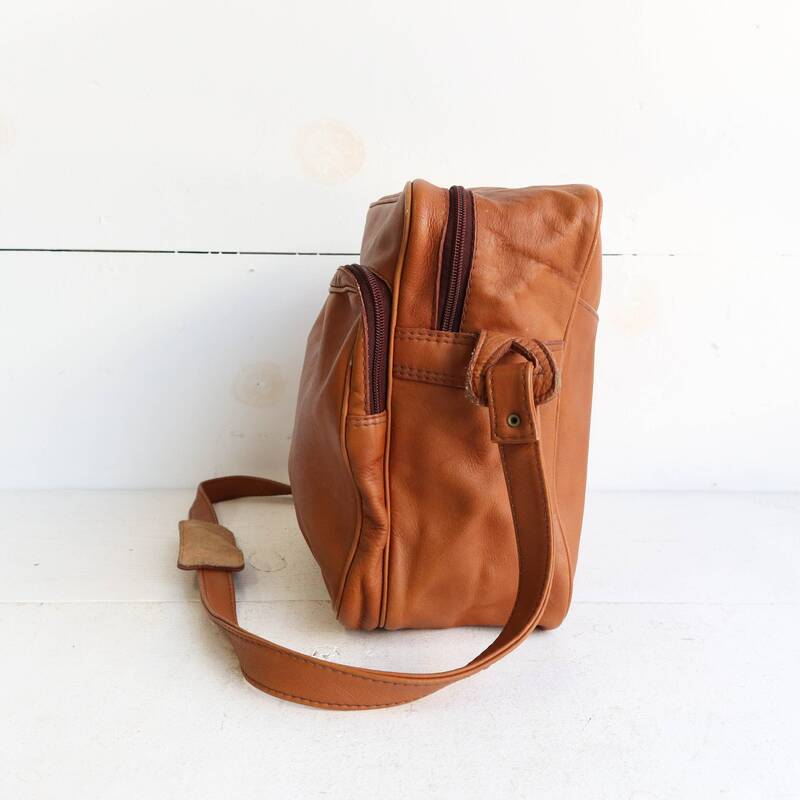 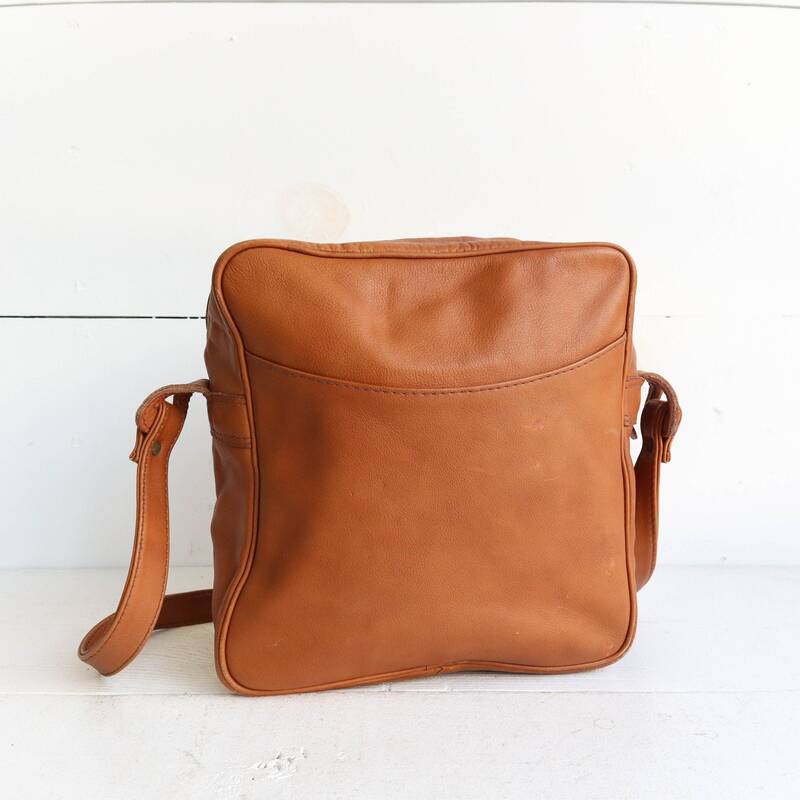 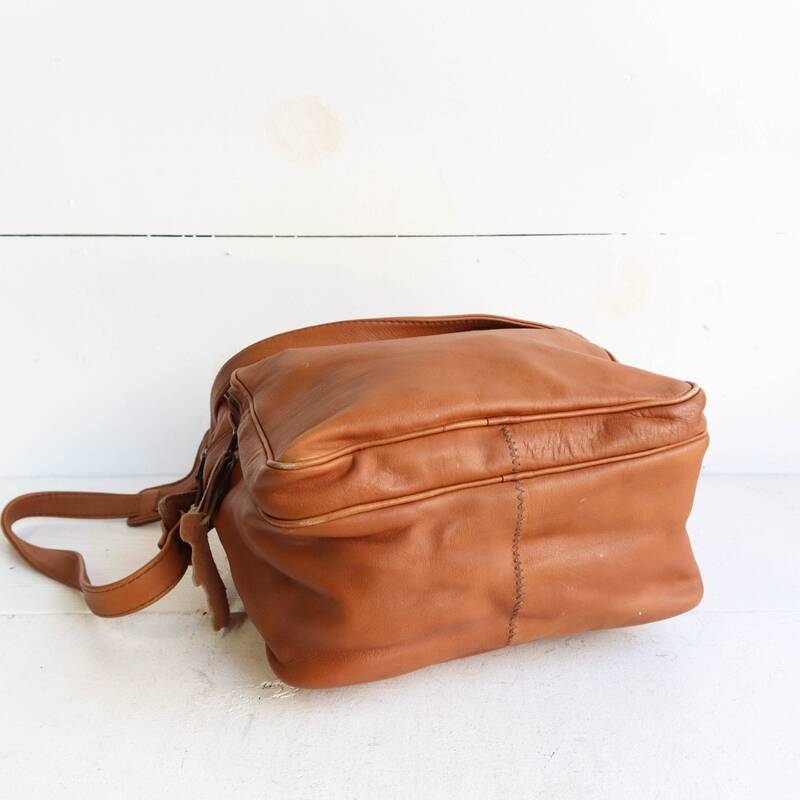 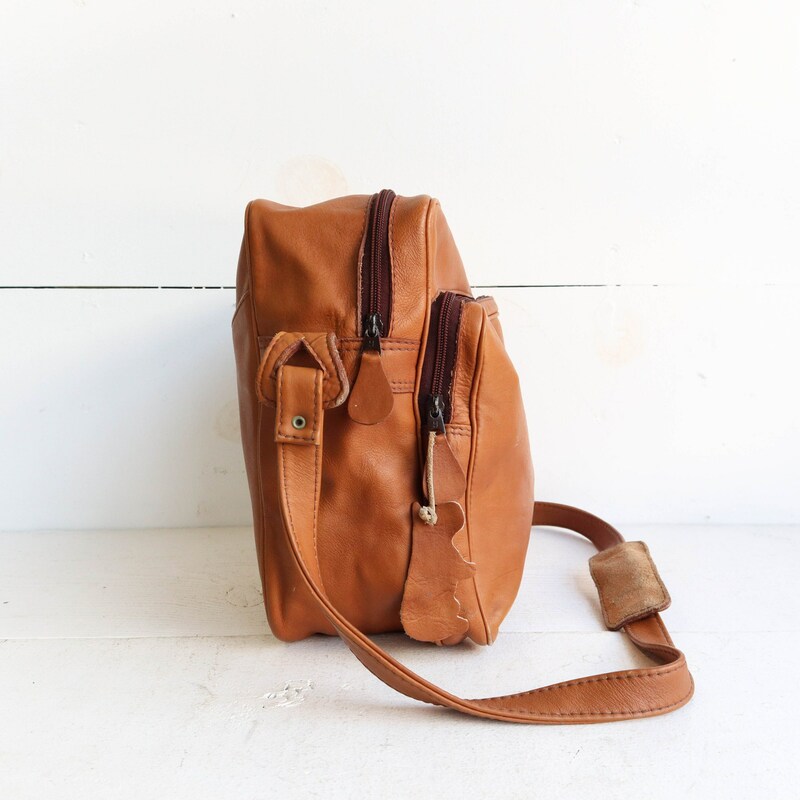 The columbian leather satchel / crossbody bag comes in a walnut brown. 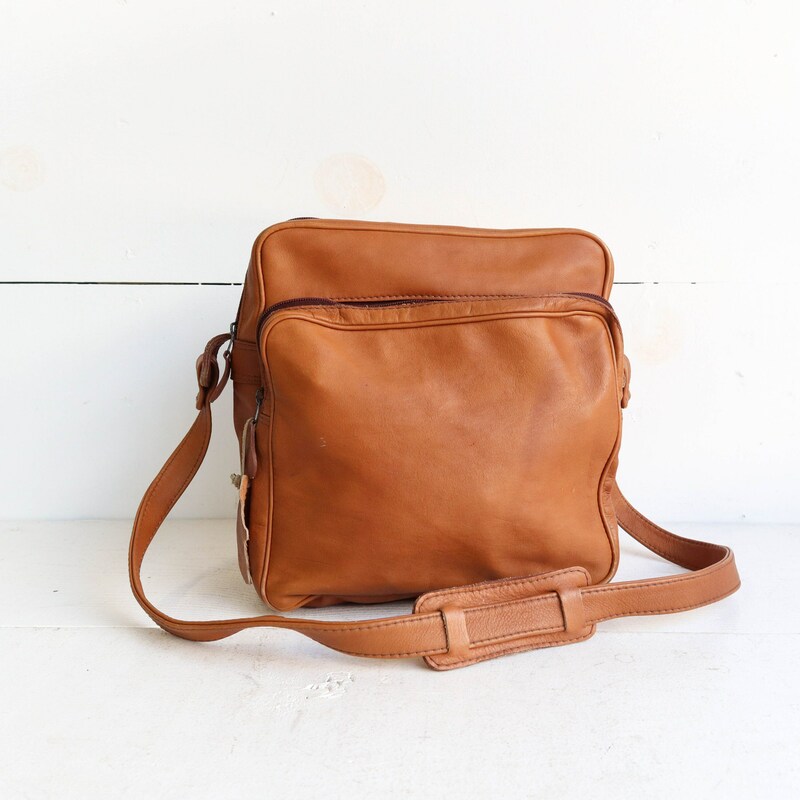 The bag has one main zip compartment, a front zip compartment, and a back slip pocket. 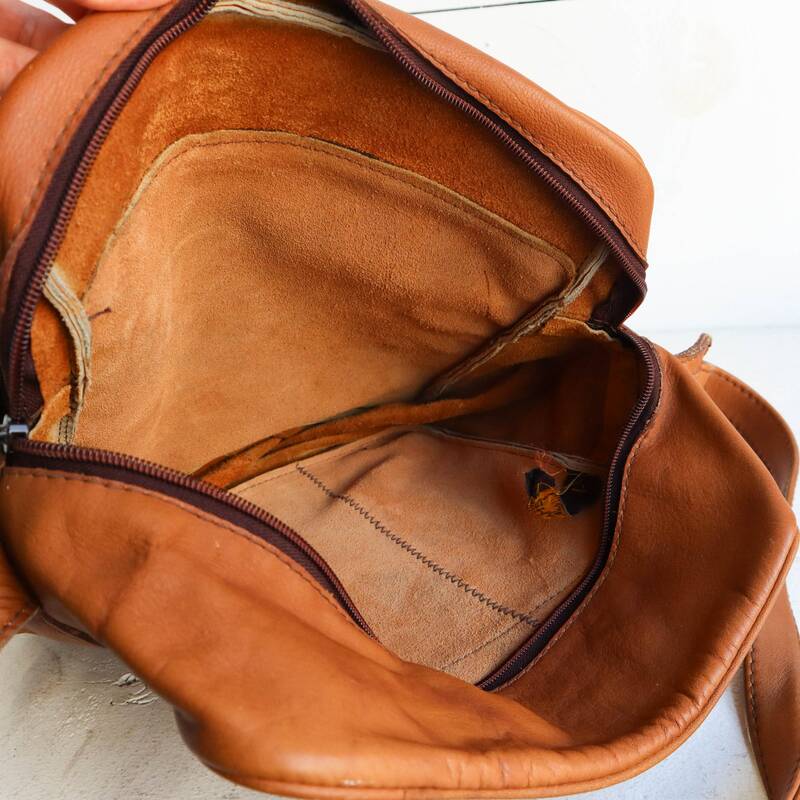 The bag is in excellent shape other than a few spots of discoloration.